How to file GST Returns? Many businesses; especially the MSMEs, manufacturers & service providers, believe that selling to the Government is a safer bet than searching for buyers themselves to avoid cut-throat competition. 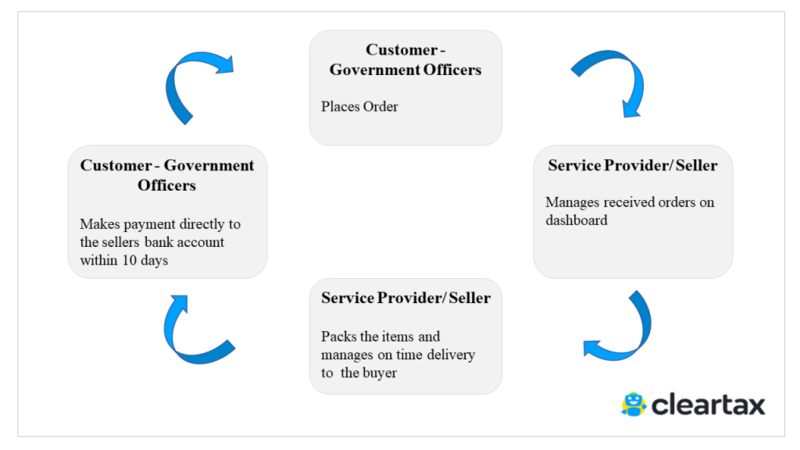 The Government E-Marketplace commonly known as GeM was initiated with a similar premise. The marketplace helps sellers get good prices for their goods and services, and the government departments to get a one-stop-solution to all their needs. This has become the National Procurement Portal of India. Further, GeM helps in taking a step closer to the Digital India vision. Why should you register on GeM? Which other Portal can you use to sell your products or services to the government? How can ClearTax Help you? 5. Pricing can seasonally or occasionally be changed based on the market conditions with no interferences based on competition. The Central Public Procurement Portal (e-procure) helps the Central Government Organizations to post their Tender Enquiries, correct and Award Contracts. The primary objective of this portal is to provide a single point access to the information on requirements of various central government organizations. The major difference between GeM and e-procure is that the later works on the concept of tenders and the former doesn’t. Like every other online registration process, you have to have a list of documents kept handy for upload for these portals, too. Our product is reliable even during hitches like non-availability of all documents in one place. You can approach us even when your servers are down or you simply don’t feel confident about this. At ClearTax, we can get this registration done for you with minimal paperwork and hassle. It’s a user-ready service and you can start listing your products right away with no worries. How to close private limited company? Which business structure is best for you? © 2019 &dash; Defmacro Software Pvt. Ltd.
ClearTax offers taxation & financial solutions to individuals, businesses, organizations & chartered accountants in India. ClearTax serves 2.5+ Million happy customers, 20000+ CAs & tax experts & 10000+ businesses across India. Efiling Income Tax Returns(ITR) is made easy with ClearTax platform. Just upload your form 16, claim your deductions and get your acknowledgment number online. You can efile income tax return on your income from salary, house property, capital gains, business & profession and income from other sources. Further you can also file TDS returns, generate Form-16, use our Tax Calculator software, claim HRA, check refund status and generate rent receipts for Income Tax Filing. CAs, experts and businesses can get GST ready with ClearTax GST software & certification course. Our GST Software helps CAs, tax experts & business to manage returns & invoices in an easy manner. Our Goods & Services Tax course includes tutorial videos, guides and expert assistance to help you in mastering Goods and Services Tax. ClearTax can also help you in getting your business registered for Goods & Services Tax Law. Save taxes with ClearTax by investing in tax saving mutual funds (ELSS) online. Our experts suggest the best funds and you can get high returns by investing directly or through SIP. Download ClearTax App to file returns from your mobile phone. ClearTax is a product by Defmacro Software Pvt. Ltd.